Each Singing Express pack contains a Whiteboard DVD rom with 6 units of cross-curricular, thematic singing activities, clear directions for use, audio and movie performances and demonstrations, and full backing tracks. The pack helps you understand a child's developing voice and enables you to monitor their progress, using songs, chants, rhymes and stories, with physical and vocal warm ups. 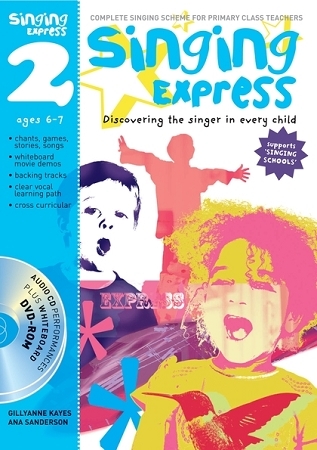 Singing Express 2 is the second in a series of four packs and is for ages 6-7 years. Webinar 16 Troubleshooting Vocal Problems 1 - Breathing!